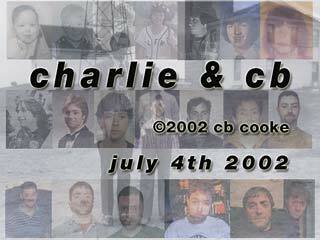 cb cooke - "charlie & cb"
You can read the text of one portion of the program online. Also an excerpt from the video is online in Quicktime format. A special thanks goes out to David Silverman for his help in conceptualizing and creating the "charlie & cb" installation!